With so many unique characters, it's hard to stand out in San Francisco. 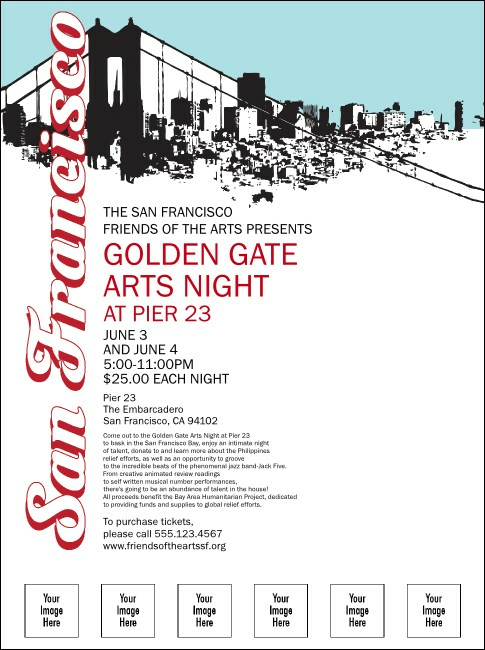 Get the edge with a funky red, blue, and black San Francisco Flyer, with black and white images of the city and the Golden Gate Bridge. With a matching Event Kit and space to upload six custom images on this template. From rainbows to gray scale, Show your true colors with high resolution printing from TicketPrinting.com.